iPhone X is a high-priced and stylish Smartphone, and you would like to get the best iPhone X case so as to protect your phone against scratches, and sudden falls. iPhone X is somewhat delicate, and has a great camera. In order to ensure maximum protection to your iPhone X, you must cover it with a case. Your gadget will look not so nice, if falls on a concrete floor, and get scratches or dents. Even though the metal body is tougher, but most people wish to wrap up their smartphone in a protective case. With iPhone X being one of the hottest phones, there’s already a wide selection of iPhone X cases in the market. 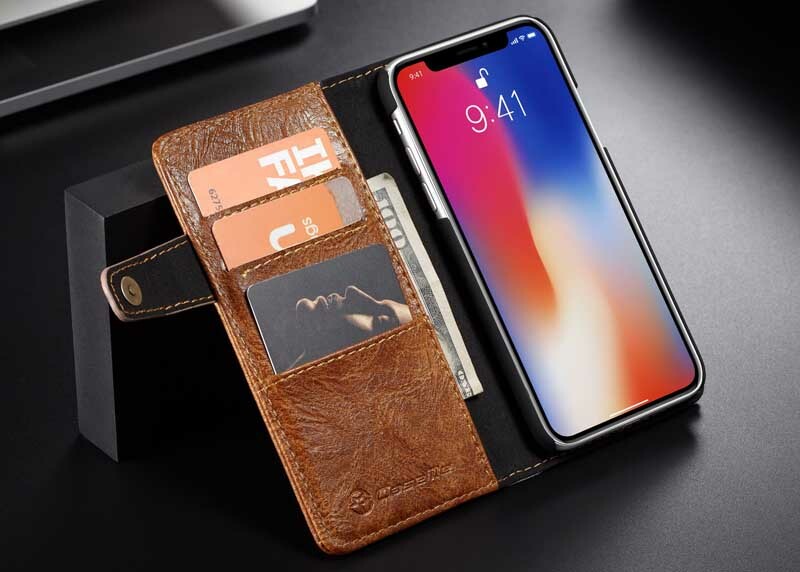 We suggest that should buy Caseme iPhone X Case, which is the best one available for you. 1. This special case offers maximum protection for your iPhone X. 2. This case offers your device an enhanced protection with a three-layer design. 3. The polycarbonate inner shell snaps around your device and is then surrounded by a rubber outer layer that protects against bumps, abrasions, and drops. 4. The rubberized textured case makes the gripping of your iPhone X case very conveniently. 5. The case features a refined design, and offers a longer protection for your iPhone X. 6. Its precise cut-outs and elegant design allows an easy access to all the mobile’s ports, speakers, cameras and all related features. 7. The holster clip swivels have sturdy locking mechanism in order to keep your phone in a place safely. 8. The foldable kickstand allows for hands-free watching of movies, videos, and pictures. 9. Your phone gets utmost protection from shocks, and in case, it falls on a tough surface, the risks of damage are minimum.